VICTORIA — The cost of using a ferry in B.C. is going up as the price of fuel on the world market increases. BC Ferries says in a news release that it will remove fuel tariffs starting June 27. The rebate and surcharge mechanism is used to manage the volatility of fuel prices, and BC Ferries says it doesn't benefit financially from the plan. Ferries president Mark Collins says over the last 14 years the company has had surcharges, rebates, and periods with neither as the market price of diesel fuel fluctuated. 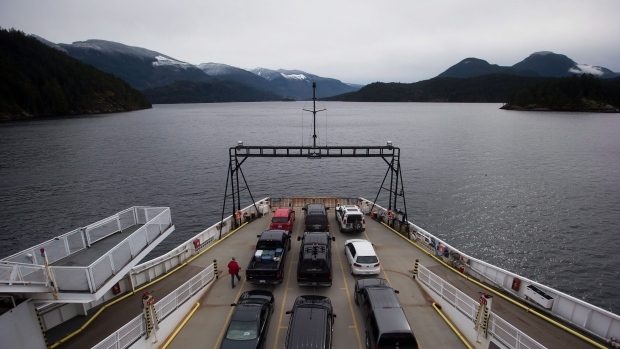 The added costs vary depending on ferry trips, but on major routes an extra 50 cents will be charged for passengers and $1.70 more for a vehicle. Transportation Minister Claire Trevena said in May she was disappointed that BC Ferries had planned on removing the rebate and the government was willing to work with the company to avoid an increase.